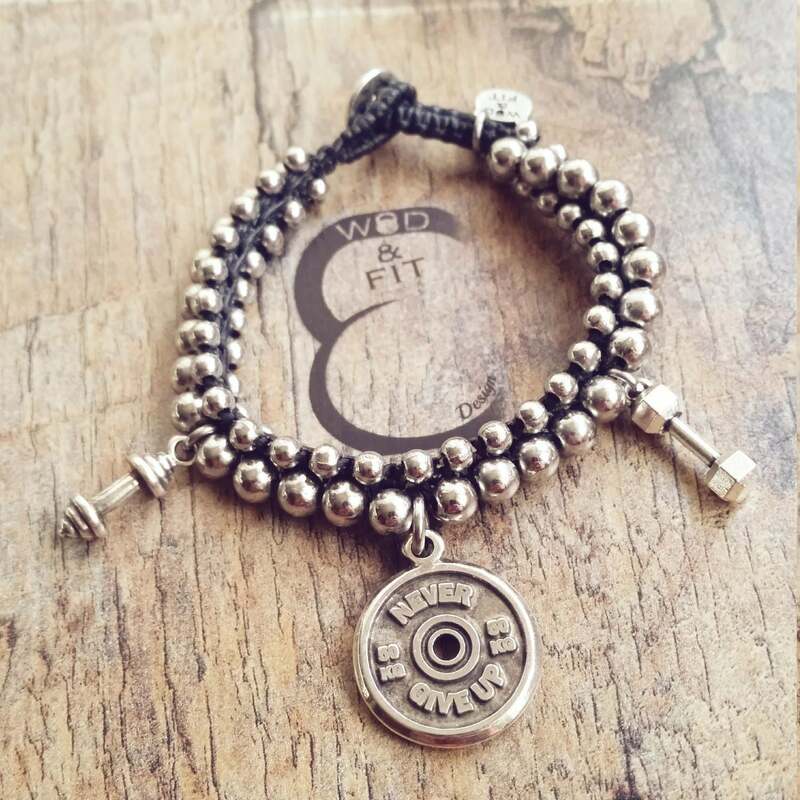 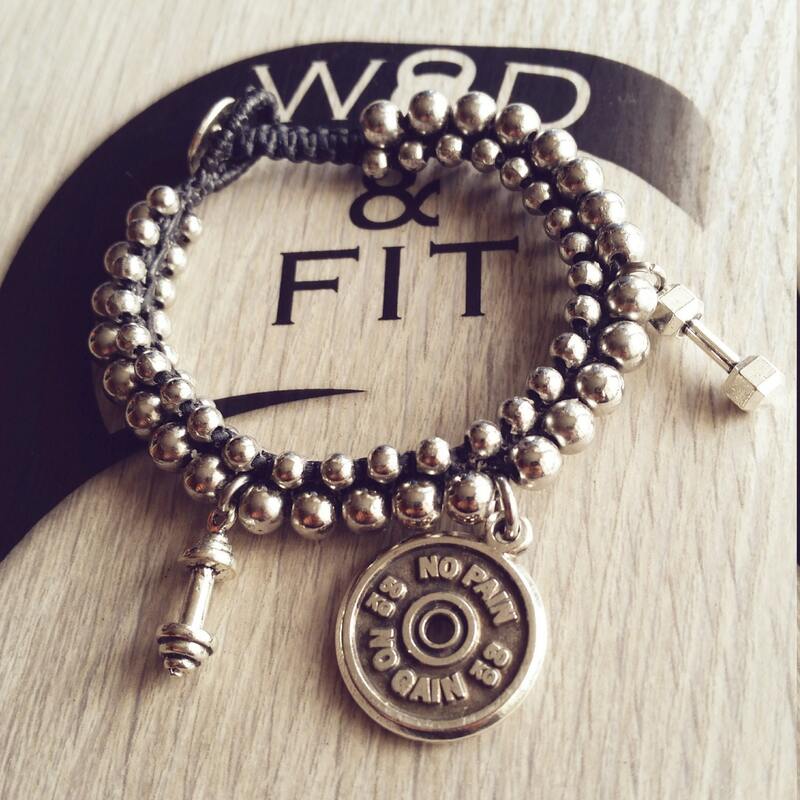 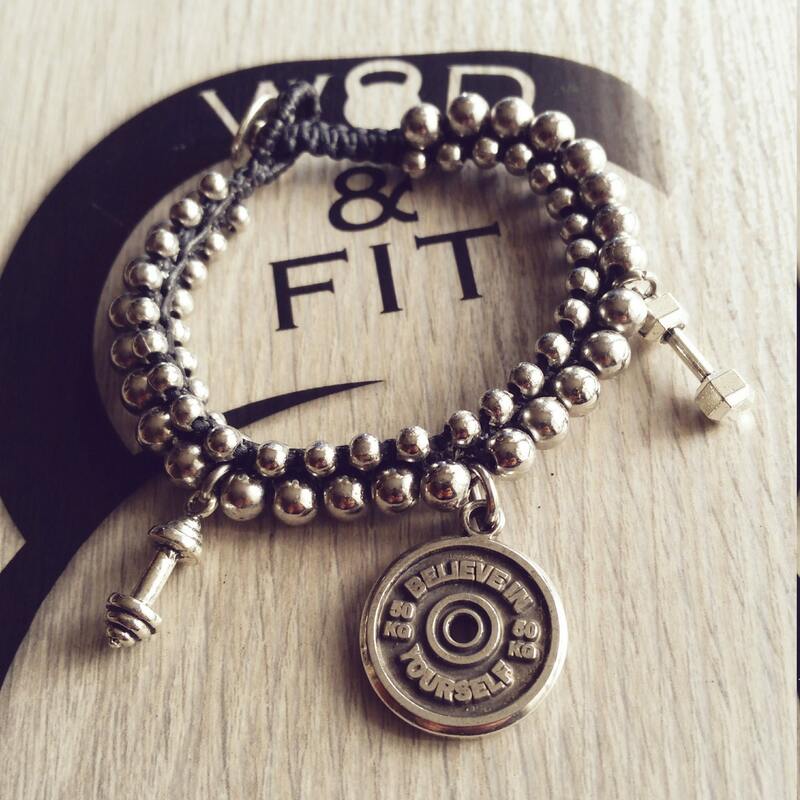 Bracelet braided leather Slamball Workout FitPlate 50kg Motivation word, Dumbbell, Barbell. 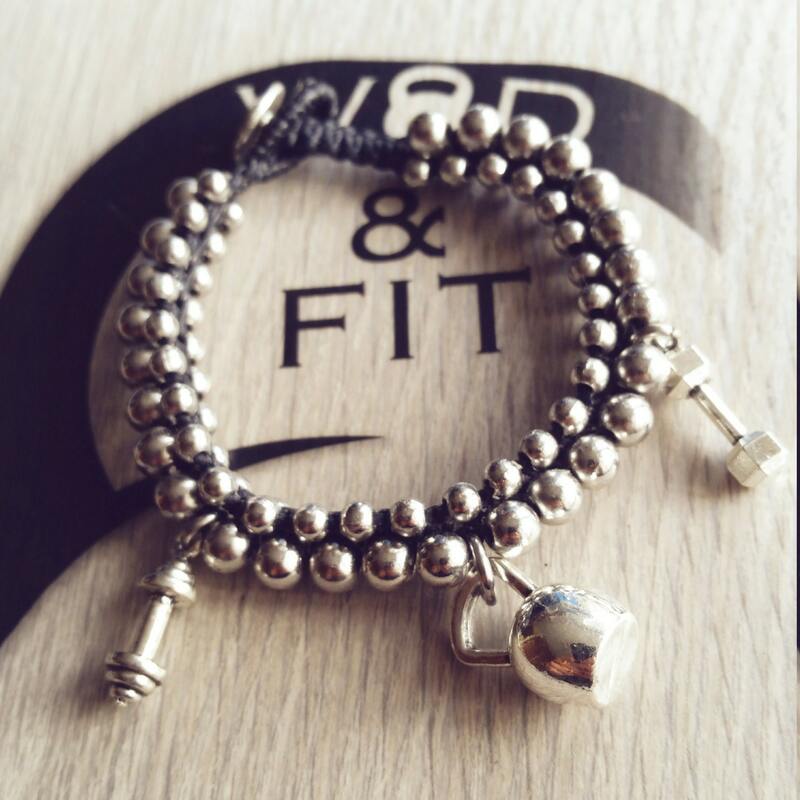 Bracelet braided leather Slamball Workout 18/22cm adjustable leather bracelet with zamak balls (27 unit 5.8mm 54 unit 4mm.) 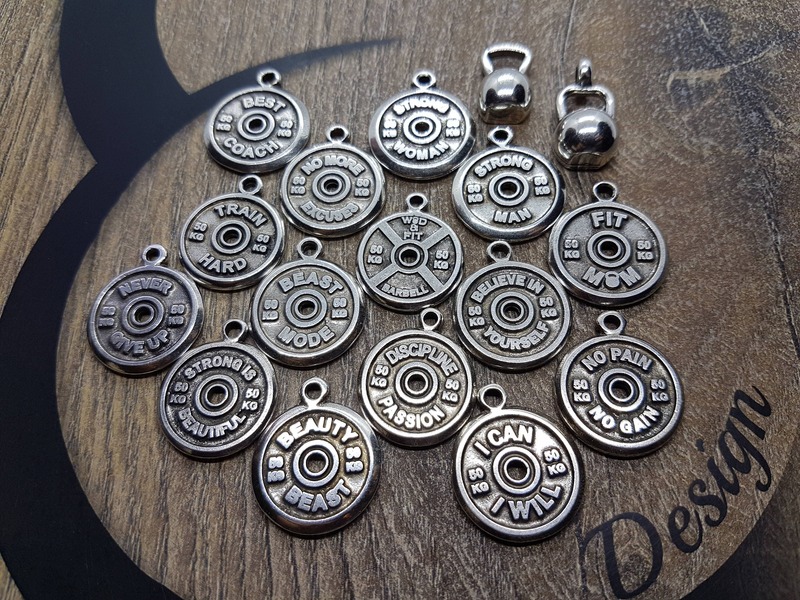 With Dumbbell, Barbell and Motivational FitPlate 50kg with your Motivational Word.